Quality Yacht Detailing & Maintenance Services You Can Count On! Bow2Stern is Seattle’s Yacht Detailing Specialists. No vessel is too small or too large for our Bow2Stern seasoned, experienced and knowledgable team.  Bow2Stern is fully licensed and insured, we take great pride in doing each job thoroughly and correctly meeting all client vessel unique yacht detailing needs. Bow2Stern services vessels through out the greater Seattle region, Bellevue, Kirkland, Tacoma, Olympia throughout the Puget Sounds of Washington.  Yacht detailing is our area of emphasis we offer high-end, quality workmanship and services to help keep your powerboat and or sailboat to stay in like-new condition. Bow2Stern offers interior and exterior detailing services, fresh linen service & pre and post weekend cleanings. Whisper Wall custom installation is also provided by our Bow2Stern skilled craftsmen. Whisper Wall and headliner systems have become the standard of excellence for the installation of fabric as a yacht architectural finish. 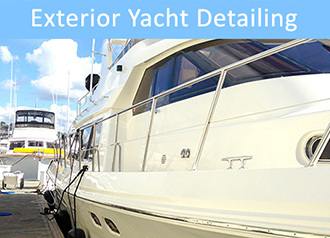 Monthly yacht detailing services are available at your home, office, dock, shipyard or boathouse facility. Boat owners set up a maintenance program to protect your investment. 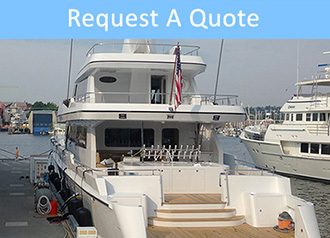 Bow2Stern will keep your boat in the best condition possible, enjoy the majestic Pacific Northwest cruising grounds with ease and confidence that your vessel is taken care of by seasoned yacht detailing experts. 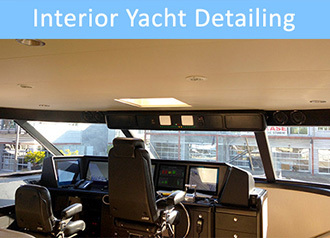 Bow2Stern: Seattle’s Interior & Exterior Yacht Detailing Specialists!